Find here Pestana coupons and deals. With more than 94 hotels located in 15 different countries, Pestana Hotel Group has more than 10,000 rooms spread across Europe, Africa and America. It has 4-star hotels, 5-star hotels, city hotels, beach resorts, all-inclusive hotels, boutique hotels, historic hotels, luxury hotels and lifestyle hotels. Wide range of facilities and a large selection of activities such as SPA, golf, diving, buggy rides, safari, water sports, fishing, horse riding, nightlife and much more. 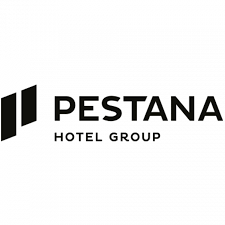 Pestana Hotels & Resorts – City Hotels & Paradise Resorts: worldwide gorgeous beach resort sites and smart urban locations. A portfolio of 50 sophisticated 4 and 5-star hotels located across four continents: Europe, Africa and North & South America. Pestana Pousadas de Portugal – Unique Portuguese Heritage hotels: castles, Palaces, Monasteries, Convents, Halls of Kings and Rooms of Queens… Pestana Pousadas Portugal offers the ultimate immersive Portuguese experience in some of the country’s most historic and iconic properties – be those castles, palaces, forts, monasteries and convents. Pestana Collection Hotels – The Deluxe Selection: an award winning selection of 4 properties showcasing the very best in Portuguese hospitality. Located in Lisbon, Cascais and Porto all properties are luxurious buildings and monuments, situated in prime locations. Hidden treasures in plain sight that offer unique and enriching experiences in astonishing historical properties. Pestana CR7 Lifestyle Hotels – Vibrant. Exclusive. Urban. Unique: the new lifestyle brand, the perfect match between Pestana’s hotelier expertise and Cristiano Ronaldo (CR7) lifestyle, targeting the millennial segment. Individual and stylish in exceptional locations, Funchal and Lisbon are the first two locations of the brand that will soon be followed by the opening of the Madrid and New York hotels as well.